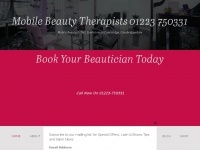 Find the best Mobile Beauty in Cambridge and nearby areas. Instabeauty is offering on-demand Mobile Beauty in Cambridgeshire with their experienced, fully trained and qualified team. 1 review has been written for Instabeauty.co.uk yet. The websites creator or author is Instabeauty.co.uk. © 2018 instabeauty.co.uk is the owner of the copyright for this website. 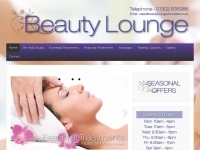 Beautysalon-wolverhampton.co.uk - Beauty Sa­lon Wol­ver­hampton, Body & Sole Beauty Sa­lon ..
Beautyloungedoncaster.co.uk - Beauty Loun­ge Don­caster | Don­casters Num­ber One Beauty ..